Memories are what our award-winning campground is all about. At Fremont Jellystone Park™, our staff is committed to maintaining a 5-star facility. Located just outside Fremont, Wisconsin, our RV resort is conveniently situated on the beautiful shores of Partridge Lake. More than just an RV campground, Fremont Jellystone Park™ RV Campground is a first class resort with amenities to match. We offer tons of fun activities planned day after day! Love to fish? Partridge Lake boasts 990 acres of shallow reedy water - a favorite hiding place for large schools of bluegill, perch, largemouth and smallmouth bass, northern pike, catfish, and walleye. Jellystone Park truly offers something for the whole family. 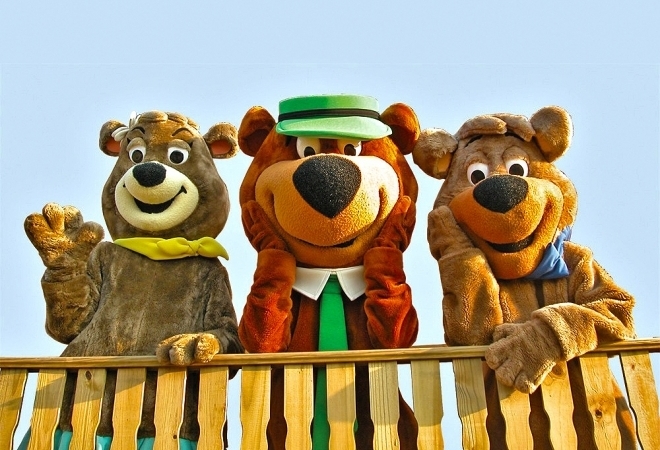 We even have Yogi Bear, Boo Boo™ and Cindy Bear™ on site! Let Fremont Jellystone Park™ RV Campground be the backdrop for memories that will last a lifetime.